U.S. physicians are not nearly as sold on the benefits of healthcare IT as are their international counterparts, according to an Accenture survey of more than 3,700 doctors across eight countries. A generational divide also exists: Physicians over age 50 who are not actively using healthcare IT rate benefits even lower. The Accenture study found that 65% of these doctors think EMR and HIE will improve care coordination, and 68% thought that they would offer better access to quality data for clinical research, compared with 72% and 73%, respectively, for doctors under 50. 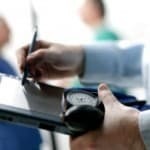 As the U.S. government strives to increase the adoption of meaningful use standards, it will need to consider physician perceptions of healthcare IT benefits. I don’t think that it is easy to measure benefits of health IT because I believe that health IT Improvement is doing wonders. I feel that the doctors’ trepidations may lie with the healthcare and insurance industry as a whole, rather than healthcare IT. Electronic Health Records (EHRs) enable physicians to practice mobile healthcare (mHealth), assuming they’re using a Web-based, cloud-computing EHR (http://www.healthfusion.com/web-based.asp) on a tablet PC or iPad (http://www.healthfusion.com/ehr-ipad.asp). I would suggest, that the grandious and convoluted nature of the US healthcare system is more to blame for slowed adoption than concern over EMRs and HIE.